MediaTek has added a new member to its "P" family of chipsets as Mobile World Congress 2016. The Helio P20 improves on its predecessor, the Helio P10, in virtually every category with a focus on energy efficiency. The MediaTek Helio P20 is a true octa-core SoC that foregoes the popular big.LITTLE configuration in favor of eight ARM Cortex-A53 cores, each clocked at up to 2.3GHz. Graphics duties will be handled by ARM's high-end Mali T880 GPU clocked at 900MHz, we're told. Other noteworthy additions include an integrated Cat. 6 LTE modem that supports 2x20 carrier aggregation at speeds of up to 300Mbps down / 50Mbps up and Dual-SIM plus Dual Standby support. The Helio P20 is also said to be the first SoC to support low-power double data rate random access memory (LPDDR4X) which cuts the voltage from 1.1V down to just 0.6V. It'll also use the same Imagiq Image Signal processor (ISP) as MediaTek's Helio X20. The Helio P20's enhancements are largely made possible by MediaTek's move to a 16-nanometer FinFET+ manufacturing process (the Helio P10 was a 28-nanometer affair). So what does all of this mean for the consumer? According to MediaTek, the Helio P20 offers 25 percent better power efficiency, is 20 percent faster than the Helio P10 in terms of CPU speed and provides 25 percent better graphics performance compared to the previous generation. A full list of specifications can be found on MediaTek's website for those looking to dig a bit deeper. 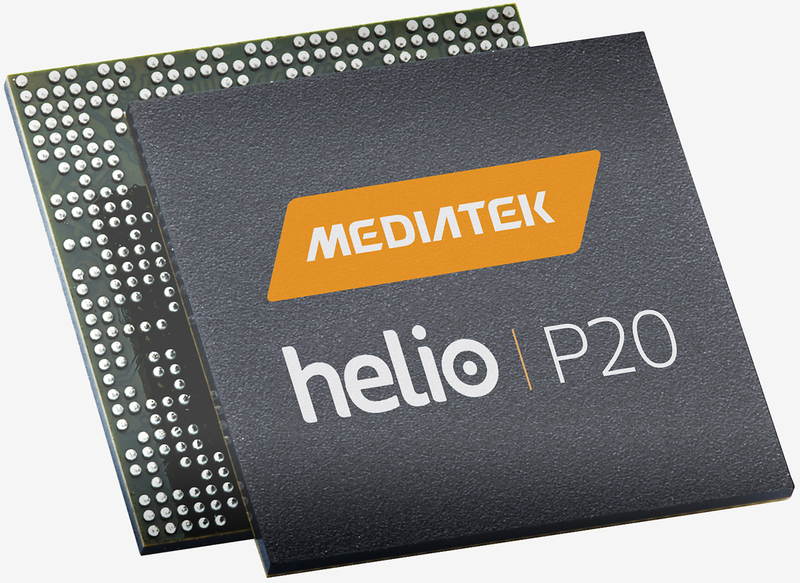 MediaTek expects to ship its Helio P20 to manufacturers sometime in the second half of this year.